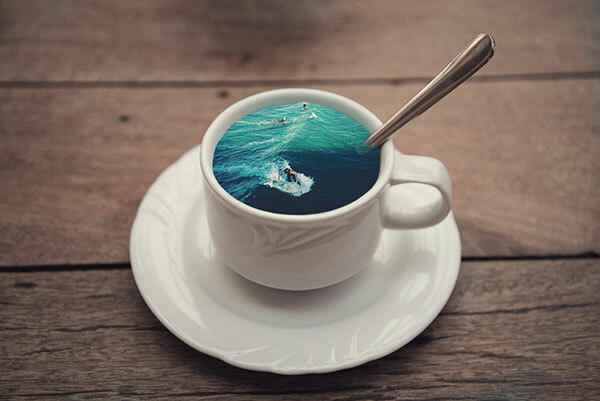 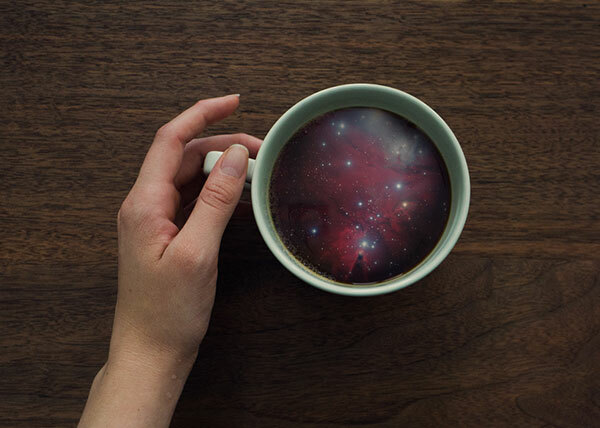 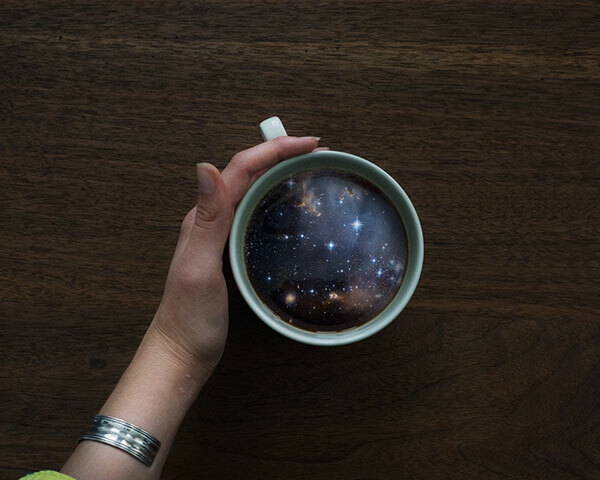 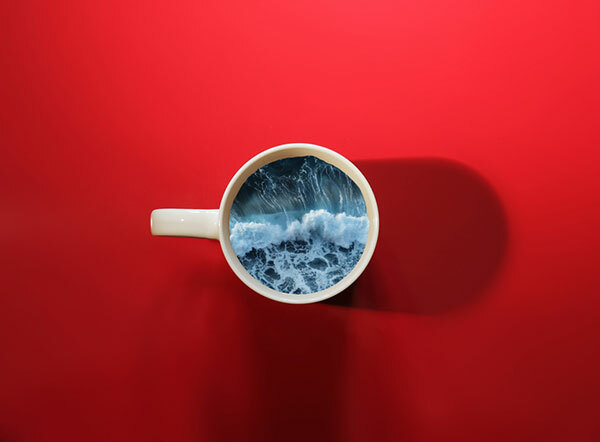 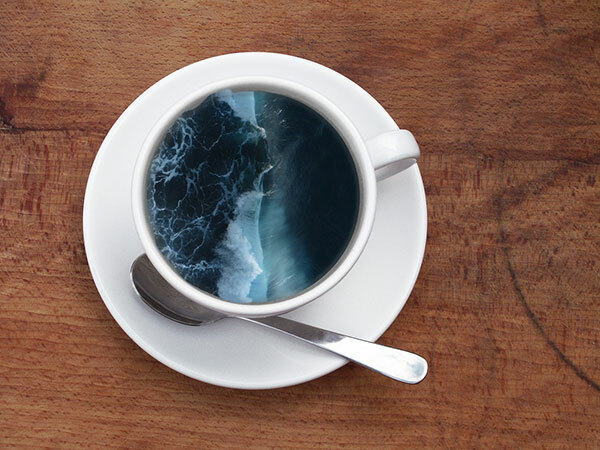 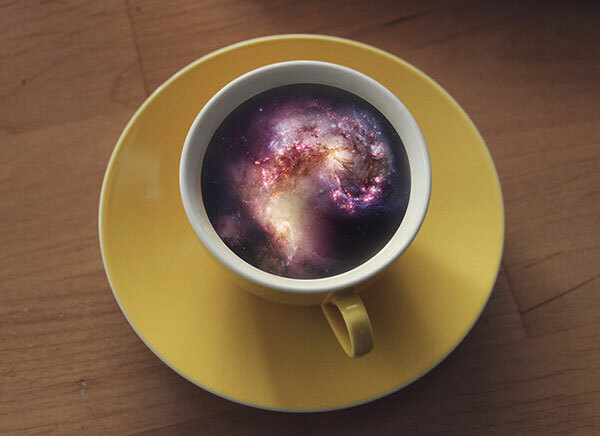 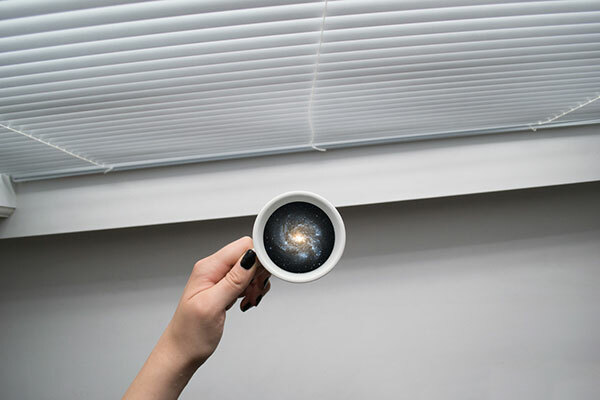 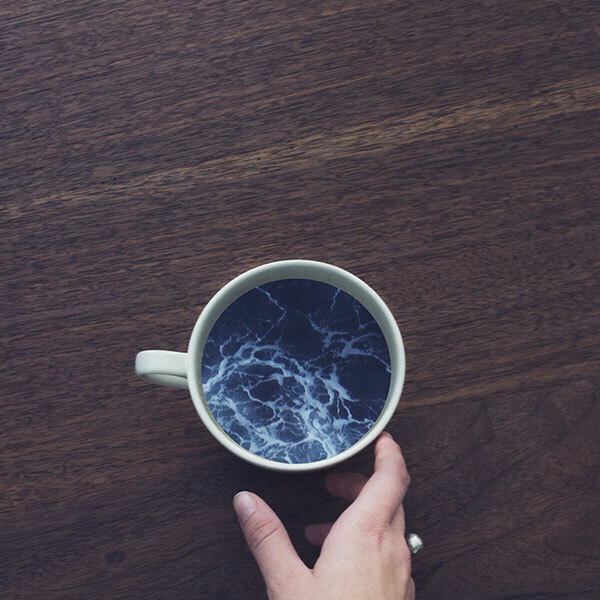 Photo manipulations of waves and galaxies on coffee cups by Brooklyn-based graphic designer Victoria Siemer, aka Witchoria, that creates an alternate reality where anything is possible. 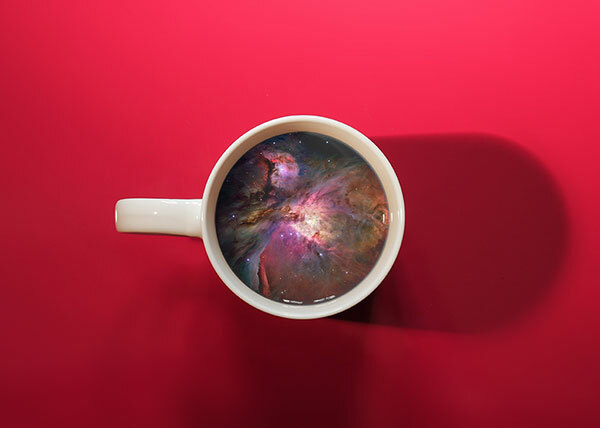 It’s a wonderful way to wake up my creativity for the day. 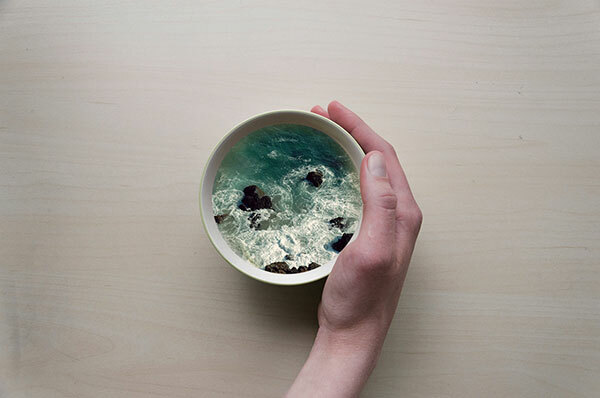 I was playing around with the idea of microcosms, imagining an entire universe in my cup and then, once the series developed, I started adding in imagery of the ocean.